The AireStream is for making healthy lifestyle changes, and moderately active, people not involved in athletics or exercise programs. The AireStream helps you breathe easier and enjoy daily activities. People who are moderately active, exercise at least 2 to 3 days per week, and engage in low intensity activities like walking, fitness swimming, or yoga, or Pilates will find the BreatheAir optimal. 60 is the new 30 may be a great ad campaign but our bodies didn’t get the message because our age does affect how we breathe and thus how active we can be. I’m Carolyn Morse, President of PowerLung, Inc. and I absolutely agree with the ad. When I turned 30 I didn’t feel like 30. And anyway, who thought we’d ever be “that old”? Now I’m over twice that age. Between 30 and now I quit smoking, started exercising and had to pay more attention to what I eat because I work smarter now, not harder. 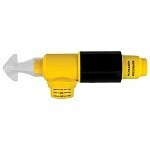 But, I still don’t feel my age – except when I exercise hard and don’t use my PowerLung regularly. PowerLung is the product used to strengthen the respiratory muscles in this study. 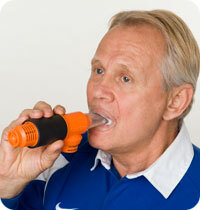 Why is respiratory training important as people age? Aging is associated with increased breathlessness and declines in respiratory function. Breathlessness (Dyspnea) in the elderly may be due to the effects of increased inactivity, heart disease or pulmonary disease. 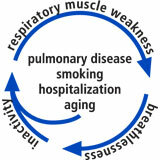 Symptoms of breathlessness may contribute to increasing inactivity with aging, resulting in further respiratory muscle atrophy with aging, resulting in further dyspnea… thus the vicious cycle! The reduced physiological capacity evident with aging may affect the ability to perform many tasks, potentially affecting quality of life. In an independent study performed at University of Technology – Sydney, Australia, researchers sought to determine the differences in between ages and genders. Doesn’t Regular Exercise Provide Respiratory Muscle Training – Regardless of Age? Clearly, exercising is a benefit over inactivity, but the impact on respiratory muscles is not enough to make a difference in tests relating to breathing. This is going to be even more of a concern for older individuals who are inactive because they would be at greater risk for inadequate respiratory muscle strength. Why Add PowerLung to Exercise Programs for Active and Inactive Older People? 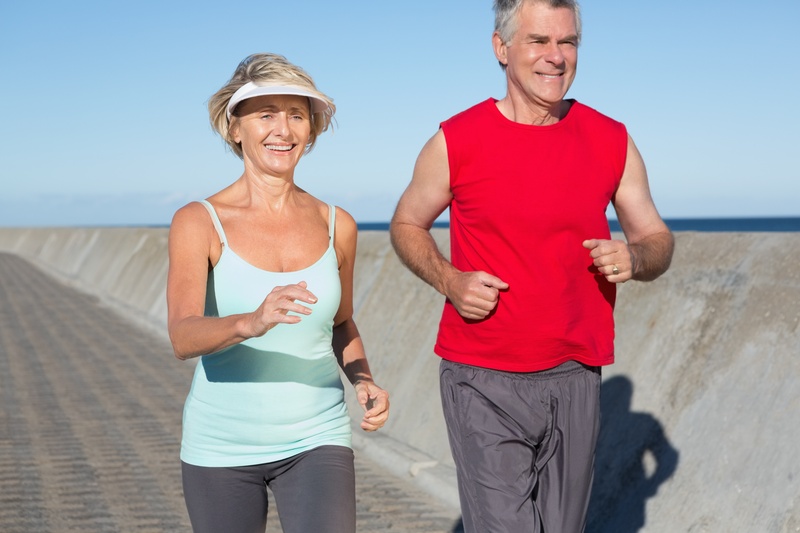 The researchers recommend interventions be considered especially for inactive people. At the same time the study indicated even habitual exercising provided no change in breathing tests so intervention is also recommended for those people. In all instances the participants using PowerLung reported less effort of breathing during exercise or activities. We all know if it is easier to breathe, it is easier to exercise or be active. Many independent studies of PowerLung also document a reduction in heart rate and respiratory rate in individuals of all ages. Not having to work hard to breathe helps us perceive it is not as hard to exercise so we are more willing to do or remain with an exercise program., While we all like the benefits of exercising none of us likes it to feel hard to do. PowerLung makes it easier to breathe during exercising and activities so we enjoy them more. An independent study on PowerLung with wheelchair athletes showed PowerLung to also be a significant means of providing cardiovascular training. Visit our information section to view and download copies of our independent research and white papers on PowerLung and PowerLung products. Head to our frequently asked questions for your answer!